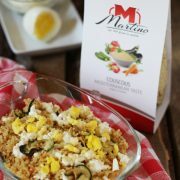 Martino’s couscous with fresh vegetables: courgette, tomato, onion, carrot, red pepper and leek. Our food bloggers suggest you to add cottage cheese and chopped hard-boiled eggs. 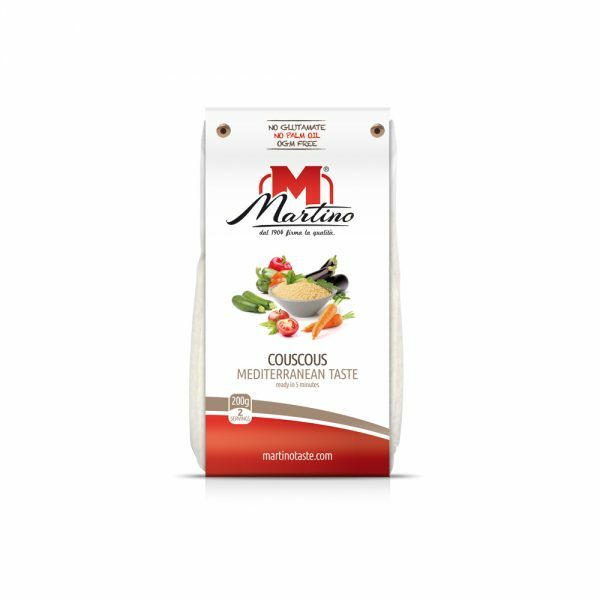 Martino’s organic couscous with dried fruit, sultanas, cashew nuts, lemon, coriander, turmeric, cinnamon, ginger and chilli pepper. Our food bloggers suggest you to add honey, chopped apricots and peaches. 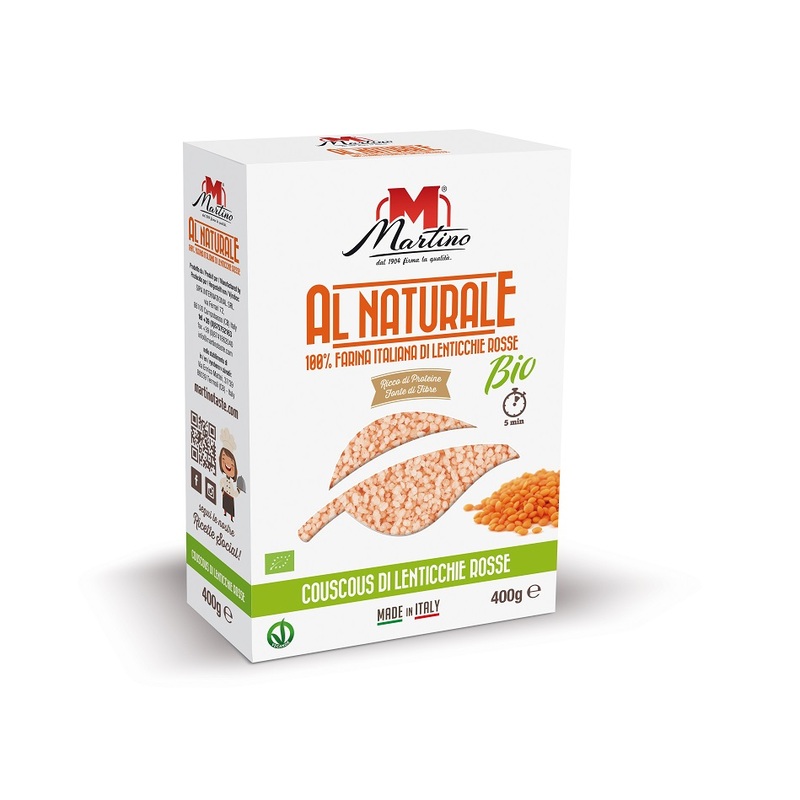 100% from organic farming, 100% red lentil flour: with all the proteins of red lentils, a source of fibres that are highly digestible thanks to steaming. This couscous is ideal for gluten-free diets but it is suitable for everyone, and it is ready in 5 minutes. 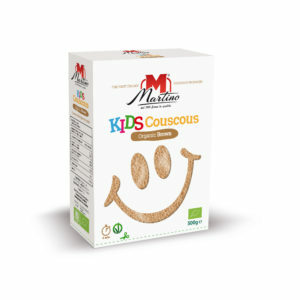 400g cardboard box..
100% organic cultivation, 100% corn flour: a Couscous custom made for coeliacs but perfect for everybody. 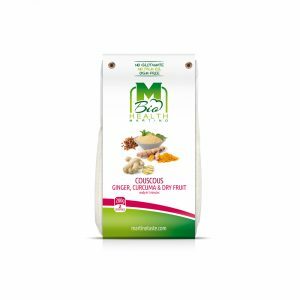 It is ready in 5 minutes and is available in a 400g package divided into two handy 200 g packages. 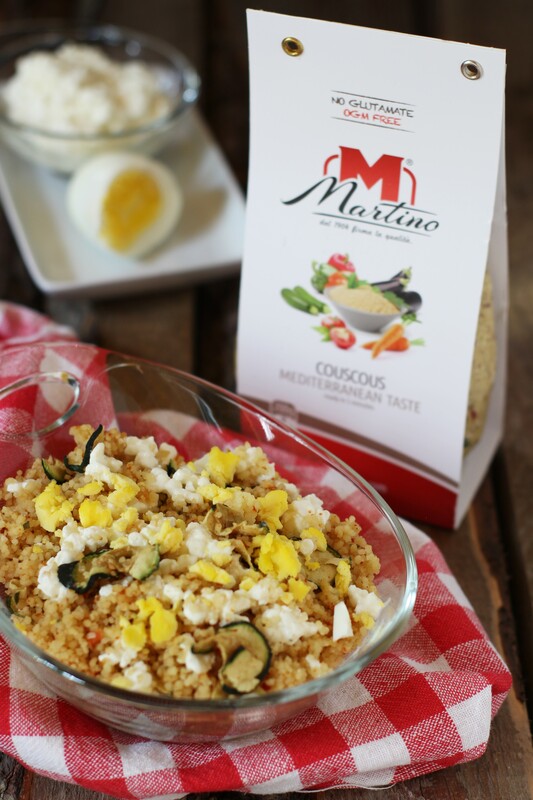 Martino introduces an Organic line, called “Al Naturale”: corn, chickpea or rice Couscous, 100% organically-cultivated, highly digestible and low-fat. Specifically thought for people with gluten intolerance, yet perfect if you are looking for a light change in your everyday life. 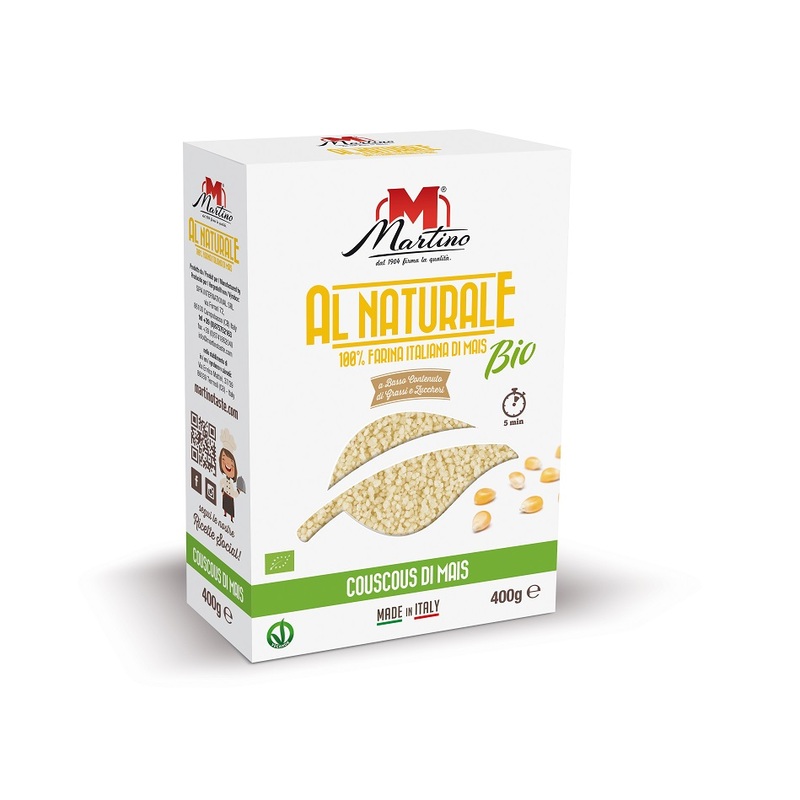 100% Organic durum wheat semolina. Available in 500g packages, with a handy reclosable opening. 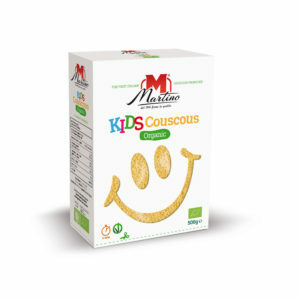 100% Organic whole durum wheat semolina. Available in 500g packages, with a handy reclosable opening.